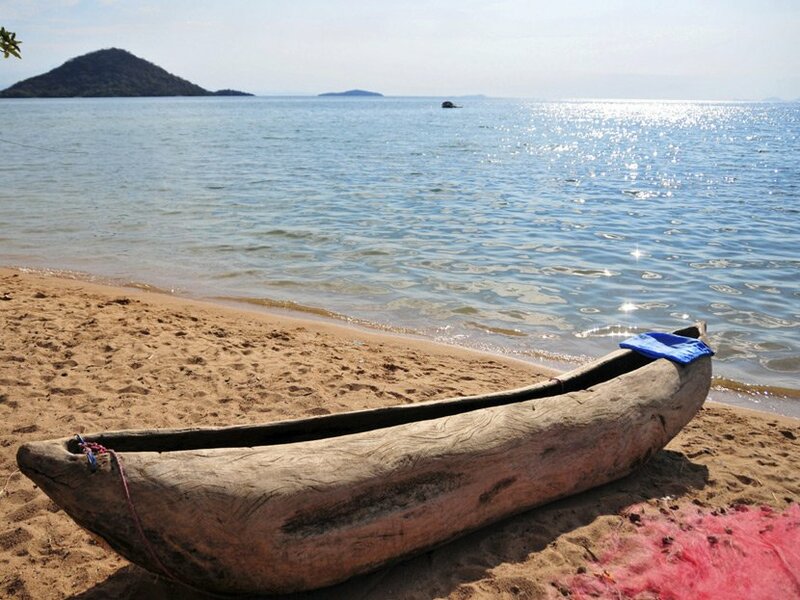 Nestled in the beauty of Lake Malawi, Cape Maclear is Africa’s impression of the Mykonos. Get ready to be lulled by the touch of tropical sun, crayon-colored boats, interspersed campsites, spectacular sunsets, and warmth of the African culture. Travelers can stroll the beaches, hike along the trails, discover the islands, and volunteer with local communities. It’s an idyllic destination to escape into the ‘Warm Heart of Africa’ and spend a weekend or more. The explorer David Livingstone discovered the Cape and named it after astronomer Thomas Maclear in 1859. Lake Malawi and surrounding area was designated as a UNESCO World Heritage site in 1984. The whole point of being in this secluded region is not doing anything at all, but the aura of this region is too good to pass up by idling in your hammock. Wildlife Watching – In 1980, the town and nearby islands, forests, and the lake were declared a part of the Lake Malawi National Park. They shelter several species of bird including kingfishers, Dickinson’s kestrels, and nightjars. Nyika Plateau is a wildlife sanctuary to encounter animals (like elephants, zebras, and hippos) and seize the opportunity for night safaris and game viewing. Outdoor Thrills – Nyika National Park has miles of walking routes, wilderness trails, and horseback trails. An easy hike on the trail that starts near the Missionary Graves, on the north end of town, takes visitors to a vantage point for panoramic views. Furthermore, diving and exploring marine life in Monkey bay, freshwater scuba diving at Domwe Island, wooden-boat tours to Likomo Island are must-dos while you’re here. Nightlife is mostly concentrated on the lake shores where barbecues are held by the locals in the evening. Lake Malawi – Pristine waters of this lake are vital for conservation of Cichlid fish species. Southern shore of the lake is paradise for water sports such as swimming, sailing, boating, kayaking, windsurfing, and snorkeling. Lake Malawi, Kaningina Forest Reserve, Liwonde National Park, Cape Maclear Nature Reserve, and Lake Malombe. Cape Maclear, a small fishing village, is located at the Nankumba Peninsula on the southern shores of Lake Malawi. By Air – Lilongwe International Airport is the gateway to Cape Maclear. Regular flights to Johannesburg (South Africa), Addis Ababa (Ethiopia) or Nairobi (Kenya) are available. By Road – Malawi’s capital Lilongwe is about 150 km away from Cape Maclear. You can take a bus or rent a car from Lilongwe to reach here. National highway M10 reaches Monkey Bay. From there, an unpaved regional route T378 takes you to the town. Cape Maclear and Chembe townships have reasonably developed tourist infrastructure. Beach resorts and indoor lodges have been developed on the lakefronts in these towns. For a comfortable stay, you can choose from Malambe Camp, Thumbi View Lodge, Kayak Africa, The Funky Cichlid, and Annie’s Lodge. Gecko Lounge Restaurant and The Boma and Hiccups Pub serve delicious pizzas, cheeseburgers, and sandwiches. Wash down your food with a drink from the bar while admiring the lakeside views from an elevated open deck. Specials at the Gecko restaurant include fresh fish, chicken, and pasta dishes. To get a fine dining experience, you’ll want to head to Lilongwe where Buchanan’s, Don Brioni’s Bistro, and Mamma Mia’s are highly recommended. April to November, the dry season, is the best time to visit Cape Maclear. It is also a suitable season for outdoor activities and water sports around the region. It is a gateway to Lake Malawi – the second deepest and third largest lake in Africa. Lake Malawi National Park is the first freshwater national park in the world. The Cape Maclear Triathlon is an annual event held in the town. Monkey Bay and Chembe are two nearby get-what-you-need towns. Take precautions against bilharzia and malaria before you enter the region. Buses are the primary medium of transportation around the town. It’s best to find a local guide for excursions on the lake. Be prepared as the roads in rainy season can be hard to navigate.